This year's SP Game Used base card design leaves me unimpressed. 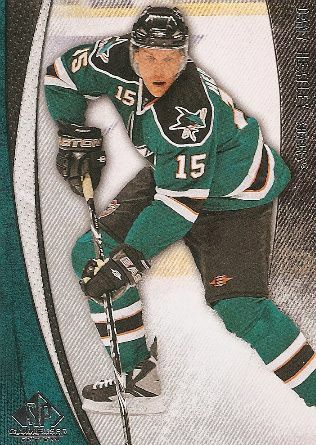 The base cards feature the team color on the left hand side as a border and the player's name in foil on a hard to see black/dark gray right-side border. To me the cards just looked a bit too cramped. The base cards also have a darkness to them that makes the entire set looked subdued. I think it's the combination of squished borders and also the 'lining out' of the background contributes to this. SP Game Used cards have always been thin, but I think Upper Deck should look into making them a bit more premium. Packs of this product cost upwards of $30 for just a 3 card pack. And for about $175 for a 6 pack box, I'm figuring there should be some really high quality cards here. Instead, we get some pretty thin cards. I guess UD thinks that the base cards in this set are just filler for the game-used stuff... and well... they're probably right. But come on! Give it some effort please! Then maybe some people would actually want to collect the base set. As of now the price and the design prohibit this base set from being desirable. 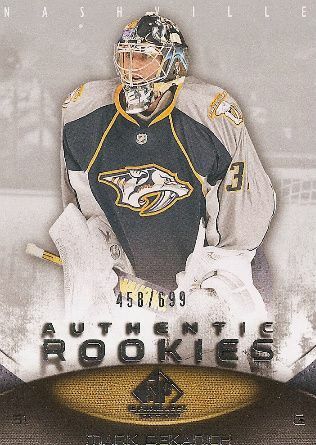 As for the rookie cards, they are serial numbered to 699 with some numbered to 99. I like the design of these cards even less than the base card design. I think what bothers me is the hideous gray shade that was used for the background. I think this design choice really hides the card and makes it boring. Last year, the rookie cards were very clean and very bright. I think SPGU took a big step back here. Time to start on next year's design I guess! Unlike the base cards, these cards are bright since half the card is white. While I like the lighter look of the card, the design is still boring. Unfortunately for me, I got a box full of only this type of insert so I am very aware of what these cards look like - and I am not a fan. I can't look at these cards for too long because I just get bored. According to the sell sheets, there are actually some pretty nice loooking inserts to be had in SPGU this year. Lettermark inserts make a return and there is also an insert called Supreme Sticks where you get a huge piece of hockey stick on the card. Maybe you'll be luckier than me and pull one when you buy some SPGU. I'll cross my fingers for you! My favorite card from my box was the Rookie Exclusive autograph card. This is one card that I think looks better than last year's. The blue colors on this card make it look very modern and the design just works! It looks like a step in the right direction in terms of this particular insert. So here's another hit or miss product on the market. I for one totally missed with my box of SPGU. I spent a good amount of money on this box and I'd be lucky to get $25 for all the stuff I pulled from it. I know I got a far below average box, but even the average box would have a hard time covering the cost - or even coming close. If the design of the cards were better, I might have thought about buying some more, but the cards just don't look that good. 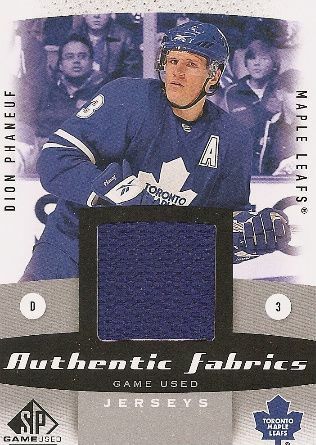 You get a bunch of Authentic Fabrics per box and they are uninspired, boring cards. 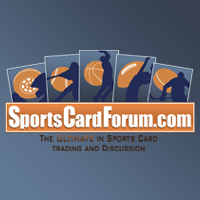 Also, pulling anything good from the base cards or rookie cards is very difficult. At three cards per pack and a lot of rookies... good luck pulling a big name. I was really looking forward to SPGU this year and I must say it has been the biggest let down as of yet. I'll definitely let other people bust open the boxes so I can pick up what I want from this set on the cheap. I'll finish off with the box break video of SPGU. 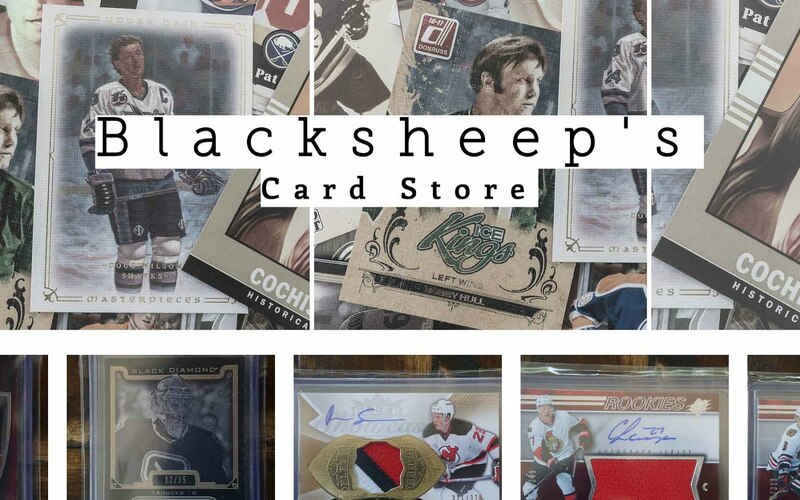 For more box breaks, please check out my Youtube page. All the cards I pulled are available for sale or for trade. SPGU is always a gamble but you can hit some nice stuff. 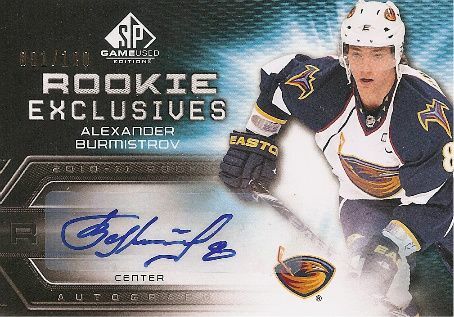 Burmistrov is a nice pull and he should be a really good player in a few years, so you have some value down the road with this pull. agreed. i guess i'll be watching his career with a little more interest now. 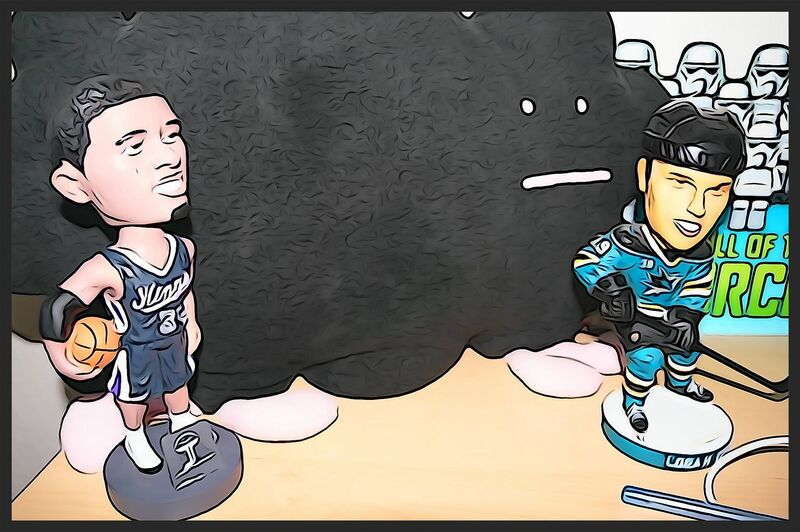 last year i pulled an evander kane and he turned out to be a pretty sweet player so far.